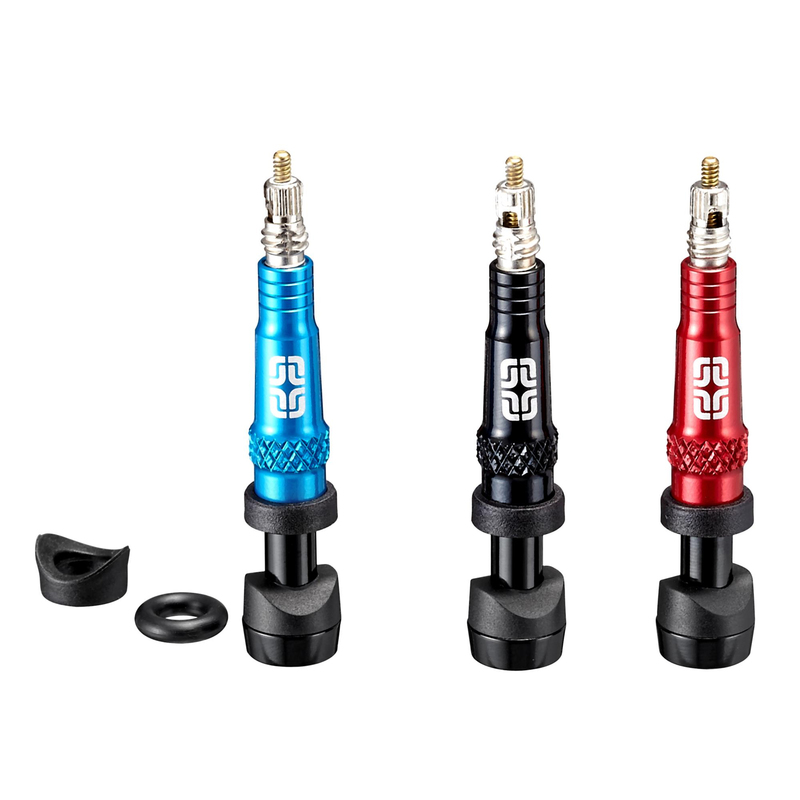 Hi-volume tubeless valves, custom designed to offer the best results for installing tubeless tyres. They allow maximum airflow when using hi-volume pumps and CO2 cartridges. A durable, 2-piece system adds strength for trailside use. Available in anodized red, black and blue. A little pricey compared to some other tubeless valves, but their unique design in the way they fit eliminates air loss. They also look pretty trick when fitted to the bike wheels. Bought these before and would buy them again. Much prefer these to Stans valves - they just seem more robust. And they look pretty trick. Works well with my Airshot but injecting sealant is a little more awkward as it's easy to push the valve into the tyre. Soon get the technique dialled though.